2018 Toyota Camry Reviews: Critics Are Raving About This Sedan! There are a lot of reasons to be excited about the fully redesigned 2018 Toyota Camry. It’s more powerful, stylish, and better equipped than ever before, but it also maintains the practical design and reliability that has made it such a popular pick among families throughout Jacksonville and Palm Coast. Check out these top reviews for the all-new Camry, and make your own determination after test driving it at Beaver Toyota in St. Augustine, FL. 2.7L I-4 – The base four-cylinder engine is good for 203 hp and 184 lb-ft of torque, as well as up to 41 mpg highway and 29 mpg city. 3.5L V6 – The available V6 also gets a notable boost in output to 301 hp and 267 lb-ft of torque while also getting up to 32 mpg highway and 22 mpg city. 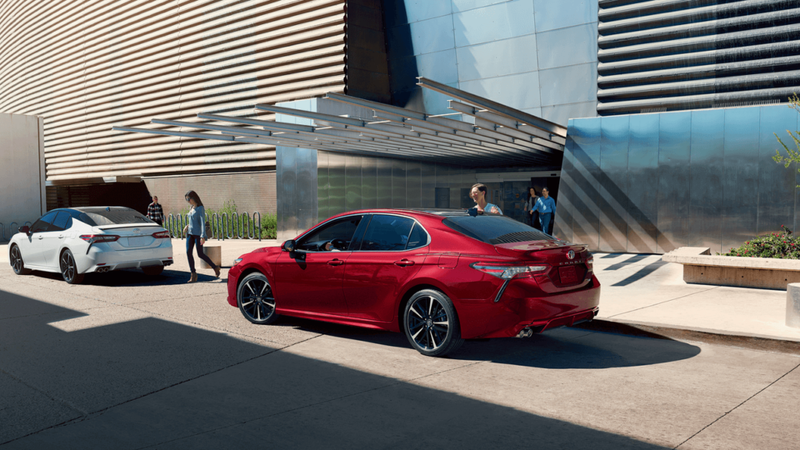 In addition to its athletic new look and capable performance numbers, the new Camry also comes standard with the Toyota Safety Sense™ P (TSS-P) driver assist suite and is offered with the latest Entune™ 3.0 infotainment system. On the practical side of things, there’s still plenty of room to work with inside this spacious midsize family sedan. Up to five adult passengers can be seated comfortably, with the cabin boasting a total volume of 114.5 cubic feet. You’ll also enjoy plenty of cargo space, including a total of 14.1 cubic feet in the trunk. Check out Toyota’s redesigned midsize sedan today at Beaver Toyota, where we have the 2018 Camry for sale now in all the trims including the LE and SE, in addition to a solid inventory of CPO Toyota Camrys for sale. You can find our showroom at 2995 U.S. Highway 1 South in St. Augustine, FL, just a short trip from Palm Coast. Come see us any day of the week, or get in touch at (904) 863-8494 to schedule your test drive or find out the answers to questions like how to reset the maintenance light.